The Tucson Z Club is a not-for-profit automobile club based in Tucson Arizona, dedicated to the preservation and enjoyment of the Datsun / Nissan Z cars. We meet every third Tuesday at Thoroughbred Nissan, 7:00 to 8:00 pm. We started in 2005 with a small group of Z car enthusiasts that were looking for a way to bring Z car owners in Tucson, that shared our enthusiasm and passion for our cars, together. We organized and met at various restaurants (for as long as they would put up with us!) 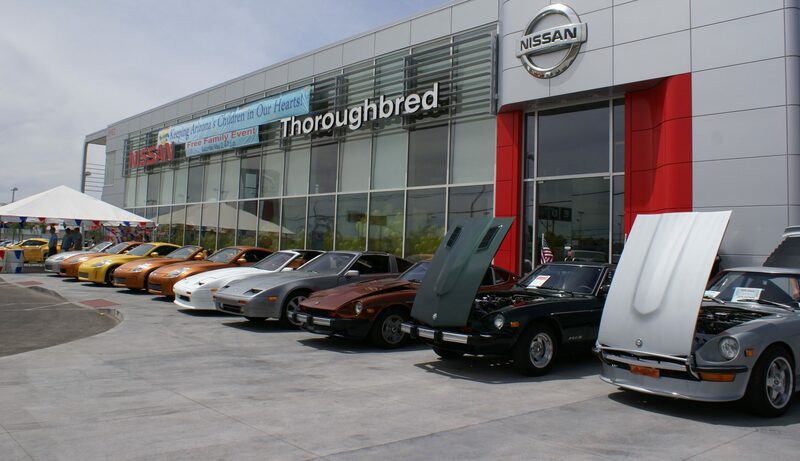 until Thoroughbred Nissan was kind enough to host our meetings in their Service Department. We owe a special thanks to Oscar for being an avid fan of old Datsun / Nissan cars and helping our club find a regular home. Since our humble beginnings, we have grown into a community that is full of great friends and experiences. We are nationally recognized as members in the Z Car Club Association. Our club participates and organizes a variety of events throughout the year. From fun drives and car shows, to events that support the community, we find ways to enjoy our cars and have a good time with those that are as passionate about their cars as we are.